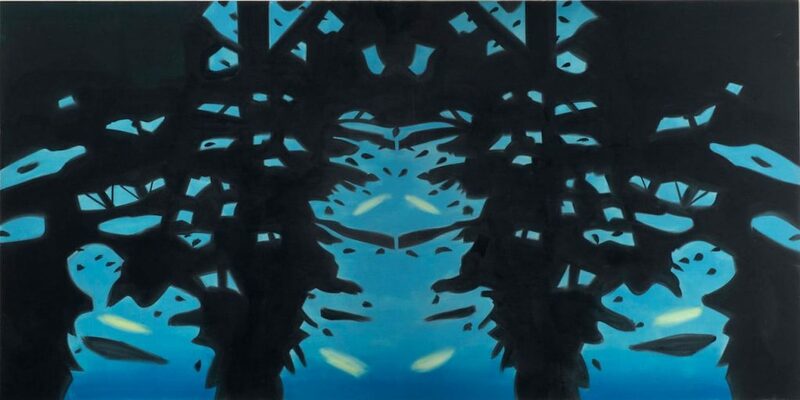 At 88, the American painter Alex Katz is as prolific as ever, producing large-scale works and exhibiting widely. Fisun Güner talks to the Brooklyn-born, Manhattan-based artist about finding his way in the 1950s, getting noticed in the 1990s, and hitting his stride in his later years. 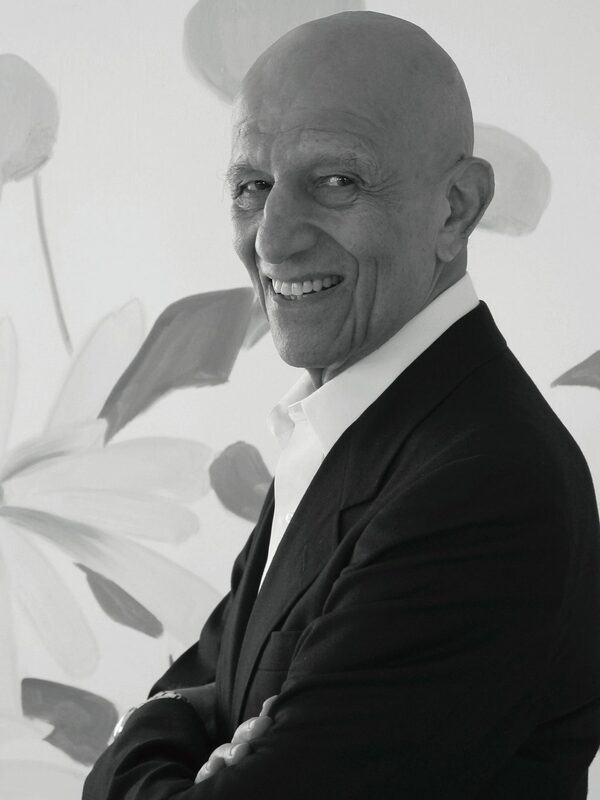 It’s almost a cliché to say it, but Alex Katz at 88 (89 in July) retains an incredible energy and output. He works as hard as he’s ever done, still producing new work on an often monumental scale. 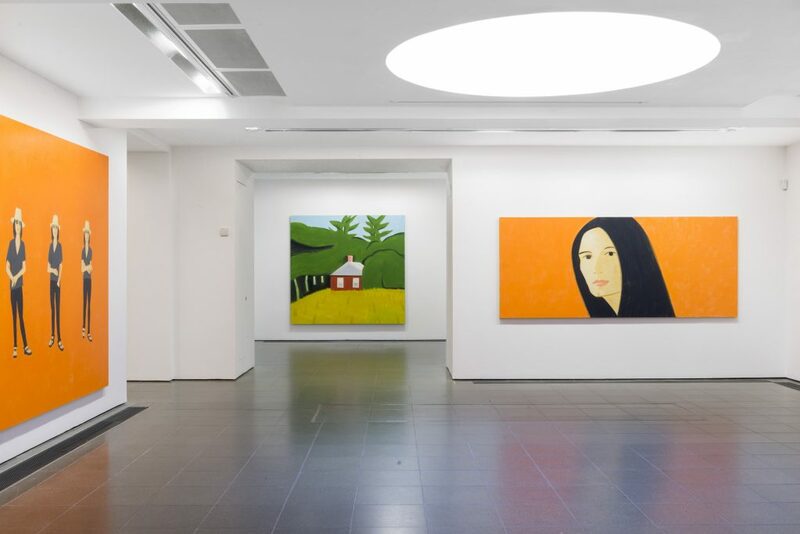 In the UK alone he’s had four major exhibitions in four years, three in a public gallery, including his current Serpentine Gallery exhibition, ‘Alex Katz: Quick Light’. Graduating as a fine art student in 1950, Katz resisted the stranglehold of Abstract Expressionism, which dominated New York and American painting at that time, to focus on figuration. He was soon linked to Pop art, but he’s never welcomed that label, insisting he’s a realist painter of the European tradition. His large, bold paintings, particularly his portraits with their single-colour backdrops, appear deceptively simple. But although they’re pared down, the technique is complex; he’s often been called a painter’s painter. As well as portraits, the Serpentine show includes a small selection of his brilliantly evocative, austerely monochrome Night Paintings from the mid 1990s, which depict Manhattan, where he lives. He was born in Brooklyn and grew up in Queens, to which his blunt, forthright manner and his wonderfully dry humour may in part be attributed. 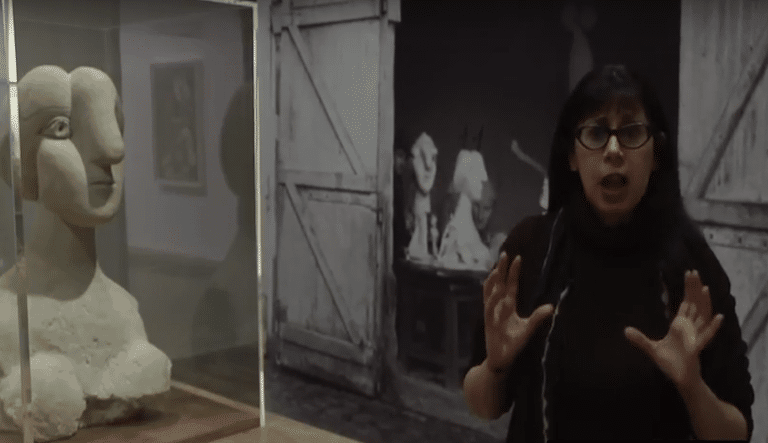 What can we expect for your Serpentine exhibition? It was supposed to be all new work, but we had a conversation and Julia [Peyton-Jones, Serpentine director] said, “We want the best show you’ve ever had.” And I said, “You haven’t got a chance.” And so what they did was take four older pieces and put them in and that changed the show a great deal. It gives the show a lot more substance. You’ve said that a good painter only begins to really take off in their late 80s and 90s. So, at 88, you’re just taking off now then? Well, you have a lot of experience and you can try more difficult things because you have experience. You have to realise that I’d spent six or seven years where I was experimenting and what I was doing was totally out of fashion. To the traditional, representational painters my paintings were unfinished, and to the abstract painters they were minor. No one seemed to get them. But I think it coalesced by the end of 1957 or 58. About eight years after art school it started to come together. And now I have all that experience. When you were still an art student it was all about abstract art, all about Abstract Expressionism. Was it brave to make representational painting? I thought it was stupid. A lot of people were painting representationally from the Hans Hofmann school and it was more expressionistic and I didn’t like expressionist painting particularly. When I followed my instincts I thought, this felt great. I really liked the way it was working. The paintings weren’t very good, but I’d found the way I wanted to work and I followed it. I followed the instincts. So you didn’t have this huge Philip Guston-like internal struggle when you turned your back on abstraction? Oh no. Philip Guston was always following fashion. I was following my insights. He was an amazingly talented painter, amazingly brilliant. But I’m on another line. Were you influenced at all by West Coast painting of that time – the figurative Bay Area painters? Yeah, that popped up early, but I was doing it before then, or just around the same time. It was in the air and it was like a challenge at the time. I look at your early paintings and I do see a bit of Richard Diebenkorn. I also think of those subtle, blurry colours of Milton Avery. Yeah, they’re a little like Milton Avery. I like Milton Avery, but I thought I was better than him when I was 28. I think my technique was better than his. You’ve got quite a “painterly” painting here, Red House I, which you painted last year, and all the foliage is really wild. Well, that thing just went by itself. It’s a weird painting [above]. I did three paintings of that and I couldn’t get it right. I was so surprised when Gavin Brown [Katz’s gallerist] put it in the show. There were several paintings he could have put in that were very smooth and he chose that one. It looks like a child’s painting. They say about me that I’m fearless, but really I’m hare-brained. This is an exhibition that keeps on disrupting our expectations. All the paintings are different. They go their own way. I mean, you have an idea what you’re doing and what you want to do, and then the painting goes another way. You just follow the painting. You said once that “the world caught up with me”. When did it catch up with you? In the ’90s. That’s when things changed dramatically. One critic said there was a big misunderstanding about my work. He said people related it to Pop art but it really relates to traditional European painting. And then four galleries from Europe showed me. This was all in about a year. I’ve had a lot of shows, and a lot of them in England. I’ve had more shows in England than the United States. I think it has to do with the appreciation of elegance. London is very elegant and my work is very elegant [laughs]. They like paintings in New York that are either cerebral or decorative. And I don’t think my paintings are first-class decoration and they’re not cerebral. I think he’s essentially a decorative painter, but he’s tops. I think Andy Warhol and Cy Twombly are decorative artists and Warhol’s a graphic artist, essentially, and Twombly’s a painter and he has a fantastic decorative sense. Would you describe yourself as a decorative artist? No – I can’t compete with those guys. I worked hard to develop the talent. It wasn’t natural. Which would you say is your favourite painting in this exhibition? The big green one [Cross Lights, 2015] is like magic for me. It didn’t give me any trouble. If I’m over-extended in a painting I tend not to like it. That crazy red house painting was over-extended – I couldn’t get all the elements together in a coherent way. I tend to like paintings that are masterpieces off the bat.